The great British Takeaway (or Carry Out in Scotland) is now an irrevocable part of our culture. The popularity of pre-cooked or pre-prepared meals has never been higher and they make possible parts of our modern hectic lifestyles. Yet having your own takeaway business inevitably brings with it some serious financial risks. Clearly, your premises may be vulnerable to a range of natural misfortunes including things such as flood and fire. Then there are the potential risks associated with criminal activities such as burglary, theft and vandalism. It would also be dangerous to overlook the potential problems associated with people, be they employees or customers, when things such as accidents happen. 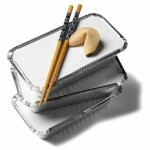 At Marsh Down Insurance Brokers, we have insurance policies specifically designed to cover takeaway businesses. *Some components of cover may be optional extras and customisable to your individual circumstances, as your requirements for insurance might be significantly different to those of another takeaway business. This is only a very brief summary of elements of the total cover available. Whatever cuisine your takeaway business specialises in, it represents your income and perhaps significant financial investment. All that could be put at risk if bad luck strikes and you do not have the support of appropriate insurance behind you. That is why our policy exists and why it might be advisable to think further about protecting your interests. Our mission is to help you find a form of cover that provides you with peace of mind and the confidence that your business is protected. We would welcome the opportunity to explain our policies and services further to you.